The Brazo Woven Left Arm 2-Seat Module exhibits a unique, transitional design, while demonstrating the utmost comfort in the market. Designed by Peter Homestead, the Brazo Woven Left Arm 2-Seat Module is an exemplary example of mixed media by featuring aluminum, faux wood, and woven elements together. 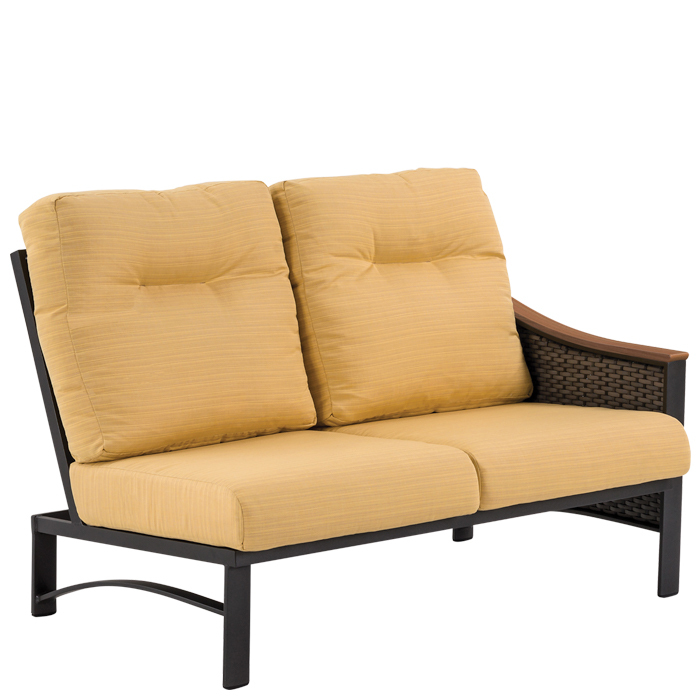 The Brazo Woven Left Arm 2-Seat Module features a faux wood arm cap so that the arm will not burn you in the hot summer sun or freeze you in a winter chill. Pair with other modular pieces for a custom configuration to fit your space.